The apartment is located on the ground floor of a quiet apartment house, which is a bit off the village street in a dead end. Due to its location on the outskirts of the village, the house is ideal for holidays and relaxation with children and dogs. On the 2000 square meter property, the playmates can romp safely. The dirt road directly on the house invites to long walks. Upon entering the apartment you will be received by the hallway with wardrobe and mirror, shoe rack and wardrobe. Then it goes to the bathroom with bath, toilet and towel rack. The separate, nicely furnished kitchen is equipped with everything you need in daily use. The bedroom has a double bed and a small drawer cabinet. The living room with dining area (1 table and 5 chairs) also has a futon bed, a sofa bed, a phono cabinet and a display cabinet. 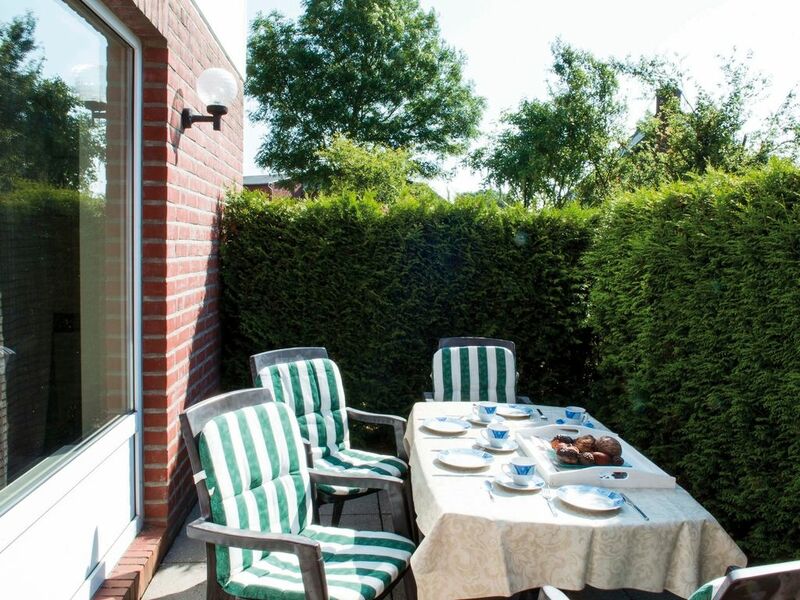 From the living room you can also go to the terrace, from which you can enjoy the many hours of sunshine on Fehmarn or use the large communal garden with barbecue area. The natural beaches of Strukkamphuk lighthouse, campsite and Fehmarnsund are both 2 km away.